“School is the armpit of life.” This was how Maya’s friend Kenzie described it. Maya agreed. Her description of her school was something most of us can understand. There are jocks and popular people and not-so-popular people and cliques and gossip and drama. Maya thought there was no way to change your standing in the social structure of school. But one day she came across an old book from the thrift store. It was written in 1951 and called Betty Cornell’s Teen-Age Popularity Guide. She decided to spend her 8th grade year following all of the advice in the book, no matter how embarrassing or complicated. She wrote this book about her experiences. Some things were pretty easy such as stand up straight to look taller and thinner. Some things were hard such as sitting at every table in the cafeteria and talking to everyone in school at least once. She learned a lot, not all of it good, but sometimes with surprising results. This a true story about Maya’s real life and how it changed from one old-fashioned self-help book and a lot of courage. 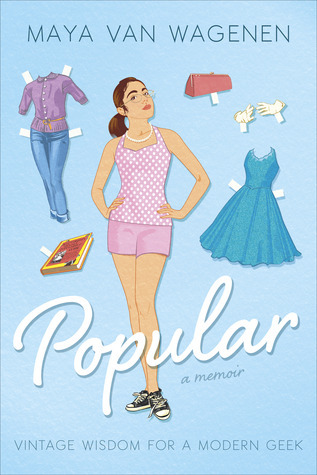 This was an absolutely charming book about a girl making the best of her situation. I felt like I could relate to Maya’s struggles and wished I would have been as brave and confident as she became by the end. As I read this, I thought of several teens who would enjoy it as much as I did. You’ve probably never heard of Henrietta Lacks, but she might very well be the reason you’re alive today. In the early 1950’s, she was admitted to the colored ward at Johns Hopkins with a cancerous tumor. Doctors took some of the cells from her body for research. Those cells never died. Henrietta’s cells, known as HeLa to scientists, still exist today and have been used to develop everything from a polio vaccine to in vitro fertilization to gene mapping. Neither Henrietta nor her family knew that her cells were taken or used by scientists all over the world. Many years later author Rebecca Skloot became intrigued with the story and contacted the family to find their perspectives. She discovered how little they knew about their mother, her cells, and the impact on their lives. Ms. Skloot spent a decade writing the untold story of Henrietta Lacks and her family, especially her daughter Deborah. This is a fascinating true story of science, bioethics, the horrifying experiments done on African Americans by doctors in the 50s, 60s, and 70s, and the resulting contributions to science. It is both a human interest story and a lesson in the ethics of medicine. 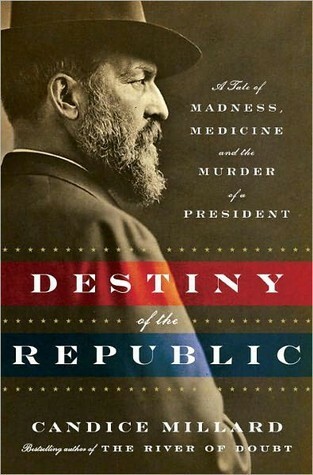 Destiny of the Republic: A Tale of Madness, Medicine, and the Murder of a President: President James A. Garfield is not as well known as Abraham Lincoln or John F. Kennedy, but the story of his assassination is just as dramatic. Discover how Garfield became president, the madman Charles Guiteau who shot him, and the doctors who unwittingly took Garfield’s life. This is a tale of politics, history, human strength and character, invention, genius, and ignorance. This was a long but fascinating story of James A. Garfield. I knew very little of this president, but he had an interesting life and an excruciating death. His peril effected several important inventions from which we continue to benefit. 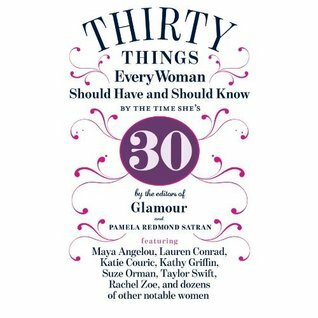 The book was well-written, both informative and entertaining. I would highly recommend the audiobook; the reader, Paul Michael, did an amazing job bringing the drama and suspense to life. 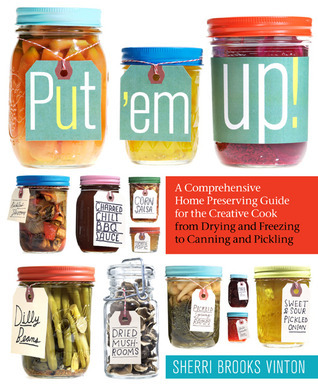 This cookbook is billed as “a comprehensive home preserving guide for the creative cook from drying to freezing to canning and pickling.” It contains step-by-step directions for different methods of preservation as well as recipes. It caters to the beginner, filled with reassurances about the safety and ease of home preservation. The author’s anecdotes add a personal touch to this comprehensive, easy-to-understand cookbook. I’m inspired to try canning! In 2003, David Miller (trail name AWOL) left his unsatisfying job as a software engineer to hike the Appalachian Trail. His wife and three daughters at home, he hiked alone the 2,172 miles from Georgia to Maine. Part journal, part travel guide, Miller’s story tells of the pain, the joy, and the friendship he encounters along the way. After reading Wild by Cheryl Strayed and A Walk in the Woods by Bill Bryson, I was ready to learn more about the reality of hiking the Appalachian Trail. The day-to-day accounts of the distance he traveled, the shelters he slept in, the equipment he used, and the towns he visited gave a realistic look at what it is like to thru-hike this trail. 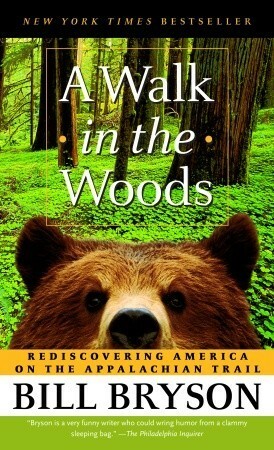 I would recommend this book to anyone who is considering a long-distance hike or would like to read a well-written account of AWOL’s experiences on the AT.